Aquasource Eyes is an ultra-moisturizing water gel containing active moisturizing ingredients locked inside it, which continuously hydrates the skin so as to freshen up the expression. Drenched in water, the skin is simultaneously revitalized with a concentrate of spa water activity based on Pure Extract of Thermal Plankton and trace elements. Aquasource Eyes is also a sensation of comfort and well-being provided by the combination of a plant oil (apricot oil) and an active decongesting agent, sericoside. Day after day, the eye contours are refreshed and moisturized, puffiness is reduced and the fine lines caused by dehydration are filled. 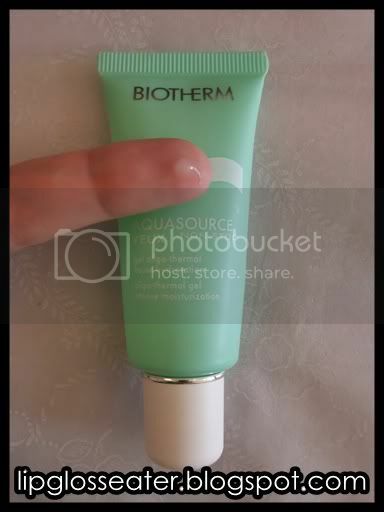 This eye gel is quite fluid, so it spreads easily around your eye area! It has a very light scent that's almost undetectable when you apply it! This eye gel comes in a squeeze tube with a tapered dispensing tip, which is great because you can control how much product you want! This product is priced at RM120 (approx uS$35.30), which i think is ok for what it offers. 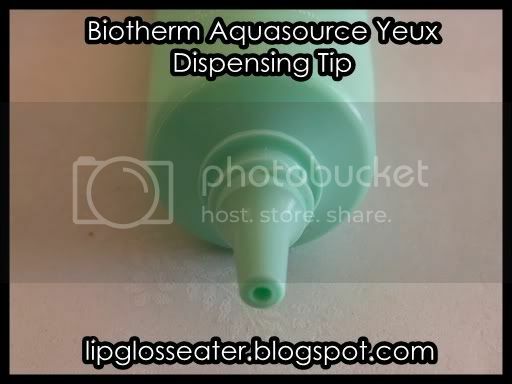 It's available at all Biotherm counters and on Strawberrynet.com for US$35.50. I use this eye gel twice a day around the eye area. A lightweight gel that moisturizes amazingly well!! 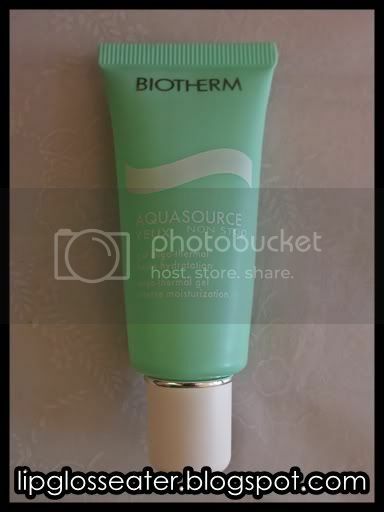 Credits: Product photo from Biotherm.com.sg. I've tried this as i was given a sample by the SA when i purchase my other aquasource stuffs. It didn't do much for me tho probably because the sample only last me for 2 weeks? or maybe because i have very serious dark circles and puffy eyes? still looking for my HG! But good for u cos it does get rid of your dehydration lines.